Liz Richards has more than 16 years of practice in Traditional Chinese Medicine and working with fertility and pregnant patients in Portland. 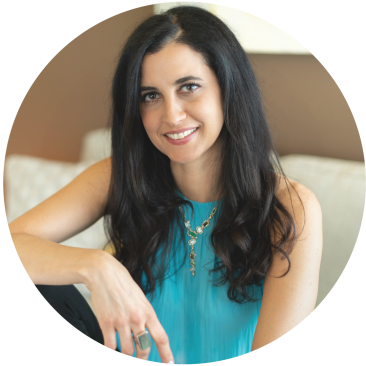 Her passion and drive for excellent, holistic patient care motivated her to create Blossom Clinic, where patients can work with an integrated team to meet their health goals. Known not only for her compassion and sensitivity, but also for her expertise in the world of women’s health, Liz Richards approaches her work as a true art, infusing the poetry of acupuncture into her sessions — yet with a keen understanding of any concurrent Western treatments and diagnoses. creating her treatment sessions and treatment plans for people. Liz Richards is thrilled and honored to be voted as one of Portland’s Top Acupuncturists in Portland Monthly’s Top Docs for the last five years in a row! Liz is a member of RESOLVE National Infertility Association and the National Association of Reproductive Medicine. Liz is also on the Acupuncture Team at Oregon Reproductive Medicine. She is licensed in the states of Oregon and California. When not practicing acupuncture, Liz cherishes her other roles as mama of two boys, pet-owner, and a Pacific Northwesterner. You may also find her on the dance floor, in the yoga studio, or cooking up a storm in the kitchen! Liz Richards, Blossom Clinic acupuncturist, is nothing short of a miracle worker. She has an intuitive grasp of women’s health and treatments, and her compassion and passion are always evident in her care. We absolutely credit her treatments with the successful conception and birth of our first child following fertility issues and loss. She was with us all the way, even accompanying us to perform acupuncture prior to embryo implantation during our IVF cycle (which, despite great odds, resulted in the birth of my amazing son). I would recommend Liz Richards and Blossom Clinic wholeheartedly for restorative health and personalized, compassionate care, especially in the areas of women’s health and fertility.